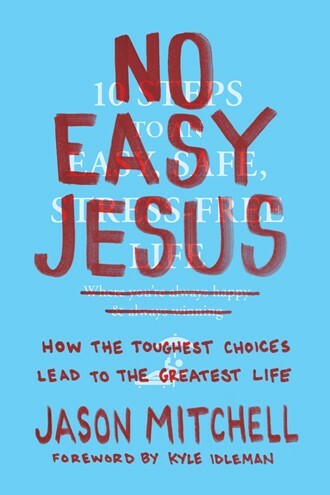 No Easy Jesus: A Review and a Giveaway! No Easy Jesus holds the key to moving forward when you’re bored, disillusioned, and beaten down by faith-as-usual. It’s a clarion challenge to wake up each day and choose Jesus all over again; to make the tough, gritty choices that align your way with His and lead to true fullness of life. Because when you decided to follow Jesus, you didn’t sign up for what was easiest—you signed up for what was best. This book was very inspiring to me! One of my favorite things he talked about was that grace was opposed to earning, not effort. I have never heard it put so perfectly before, but Wow! The author gives practical and transparent examples from his own life to bring this concept to life. It's easy to get tired, discouraged, worn down... it's easy to want to take the easy path. But that way leads to destruction. I'm so happy to host a giveaway for this book right here on my blog. Enter below, and a winner be chosen at random in a week! If you'd like to purchase this book, please follow the links to Amazon or Tyndale. ** I received a complimentary copy of this book in exchange for my honest review. ← Crossflix Internet Television Network: A Review and a Giveaway! Looks like a great book, preciosa! Thank you for sharing! Being a follower of Jesus isn't easy, nor should it be BUT it is the best life possible! This sounds like a wonderful book! Thanks for the giveaway!